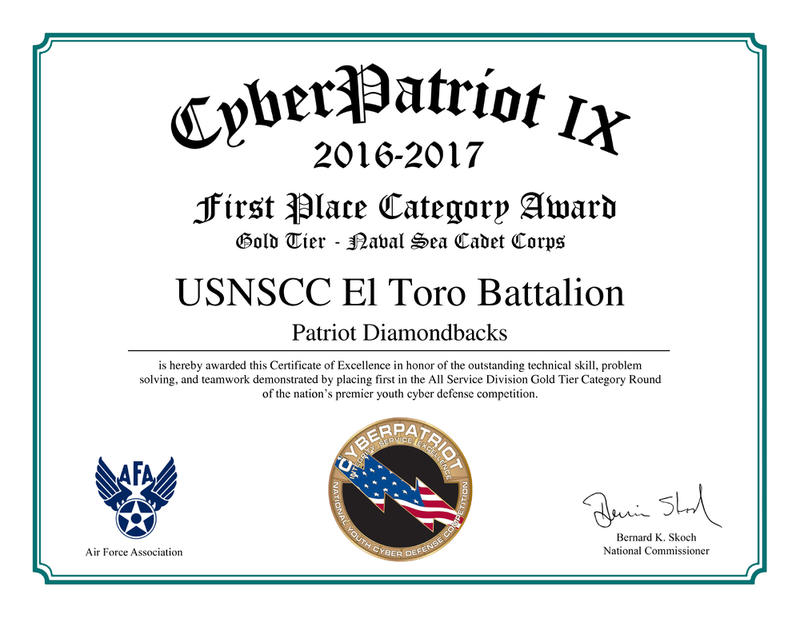 For the last three years, El Toro Battalion cadets have participated in the CyberPatriot National Youth Cyber Education Program which is sponsored by the Air Force Association. At the center of CyberPatriot is the National Youth Cyber Defense Competition. The competition puts teams of high school and middle school students in the position of newly hired IT professionals tasked with managing the network of a small company. In the rounds of competition, teams are given a set of virtual images that represent operating systems and are tasked with finding cybersecurity vulnerabilities within the images and hardening the system while maintaining critical services in a six hour period. Teams compete for the top placement within their state and region, and the top teams in the nation earn all-expenses paid trips to Baltimore, MD for the National Finals Competition where they can earn national recognition and scholarship money. 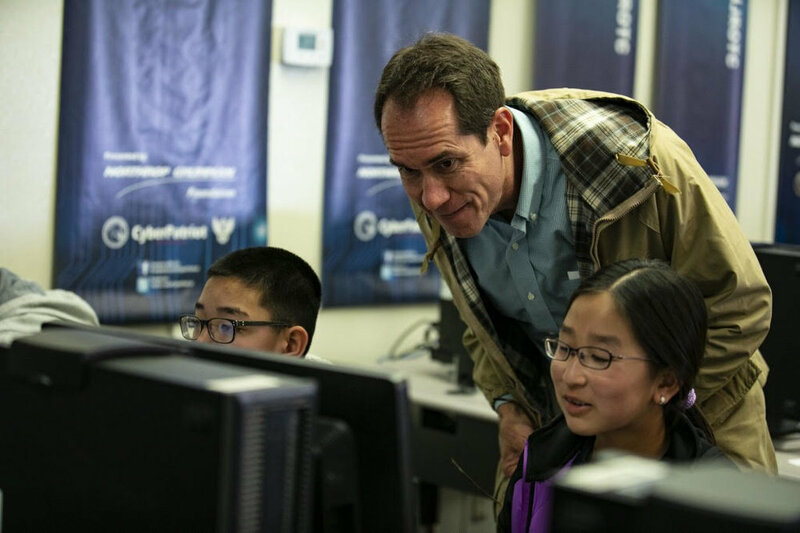 For the 2018-2019 competition, Training Ship Vammen stood up its first middle school-age CyberPatriot Team, thereby introducing our cadets at an earlier age to the exciting field of cybersecurity. Our cadets have also competed in the National Cyber League cybersecurity competition and the local Mayors Cup Cyber Challenge and we continue to explore additional avenues for helping our cadets to develop skills in the ever-changing field of cybersecurity. Here are URLs for key cybersecurity -related competitions and organizations that support youth programs. There should be included in the webpage for our unit's Cyber Team(s).